or so goes the current theory. theories are only metaphors at their very best, so don’t get lost in it. it started out as a tropical paradise, when it was part of theoretical gondwanaland. back when i was in college, the head of the school of environmental sciences was dead set against this theory, and for our final exam he had us ‘prove’ that the new theory was wrong. this was the university of virginia, and even in 1977 some people were still resistant to what seems obvious to every second grader – the earth’s landmasses fit together in one big splotch of an island. there is coal in the transantarctic mountains. they’ve found oil and gas as well, and it’s only a matter of time before someone strikes gold. from polar discovery. click to see it animated. There are two types of global earth climates: Icehouse and Greenhouse. Icehouse is characterized by frequent continental glaciations and severe desert environments. We are now in the icehouse phase, moving towards Greenhouse. Greenhouse is characterized by warm climates. Both reflect the supercontinent cycle. Periods of Greenhouse Climate: Early Paleozoic, Mesozoic-Early Cenozoic. and here’s a lovely picture of what antarctica would look like without ice, showing all the lakes and rivers, and the parts of the continent that are currently below sea level. Posted on March 1, 2010, in antarctica, research and tagged antarctica, continental drift. Bookmark the permalink. 4 Comments. 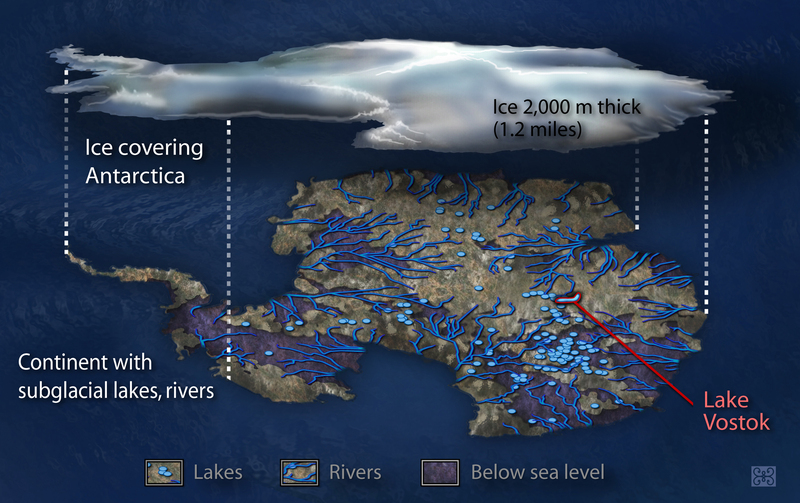 The Pier Reis Map SEEMS to show the continent of Antarctica without the ice matt—all 20 meters of it. Yet the research is consistent, and the period when the pole was subtropical was in the remote past, far too long ago for even our most apelike ancestors to have seen it. And—even if they had—they didn’t have the manual dexterity to execute such a map, much less the intellect necessary to take an interest in geology. Any thoughts? when you say all 20 meters of it, the current ice mat is more like a mile to two miles thick. if geological processes do not proceed as we assume they do, it’s conceivable that the ‘remote past’ wasn’t all that long ago. i would never assume that apelike ancestors made a map like that. it seems to me that your thinking is full of assumptions that have not been questioned and might be challenged by an alternative view of how things are. Reblogged this on The Wizard.